I’ve just returned from a week in Cartagena, Colombia where I had the privilege of presenting several lectures at the 41st World Small Animal Veterinary Association Congress. As I was hurriedly maneuvering through the airport, I saw a young woman use an inhaler after she had clearly run to her destination. Readers of this blog know asthmatic cats benefit greatly from inhaled medications. Seeing this woman use her (presumably) rescue inhaler made me think of the potential intoxication that occurs when a pet inadvertently punctures the canister of a rescue inhaler. This week I share some information about this toxicity. Happy reading! Rescue Inhalers – Why are they toxic? Asthma inhalers can contain different types of medications, but all them affect the small airways in the lungs. 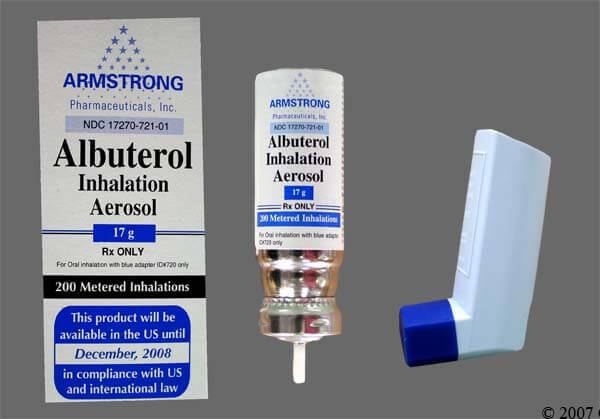 A rescue inhaler most commonly contains a drug called albuterol / salbutamol. Under normal / therapeutic circumstances, inhaled rescue medications provide a rapid but short-term relief of asthma signs like shortness of breath. Albuterol selectively stimulates beta-2 adrenoreceptors. When albuterol interacts with them, the small airways in the lungs dilate and cease to spasm. In overdosage scenarios, albuterol loses its selectivity for beta-2 receptors, and also interacts with beta-1 receptors in the heart to cause the common clinical signs of intoxication. Rescue Inhaler Intoxication – How is it diagnosed? 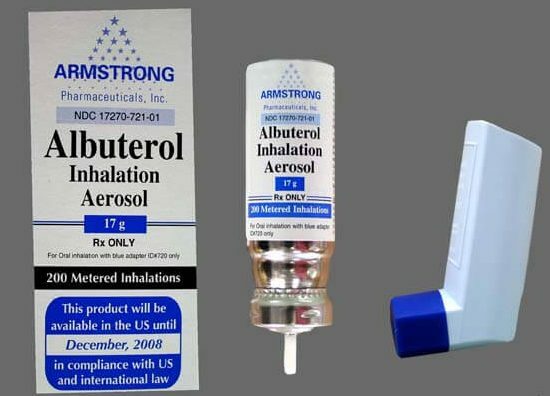 Diagnosis of albuterol intoxication is relatively straightforward. Most pet parents find the punctured medication canister (called a metered-dose inhaler or MDI). An animal with suspected or confirmed rescue inhaler toxicity should be evaluated by a veterinarian as soon as possible. 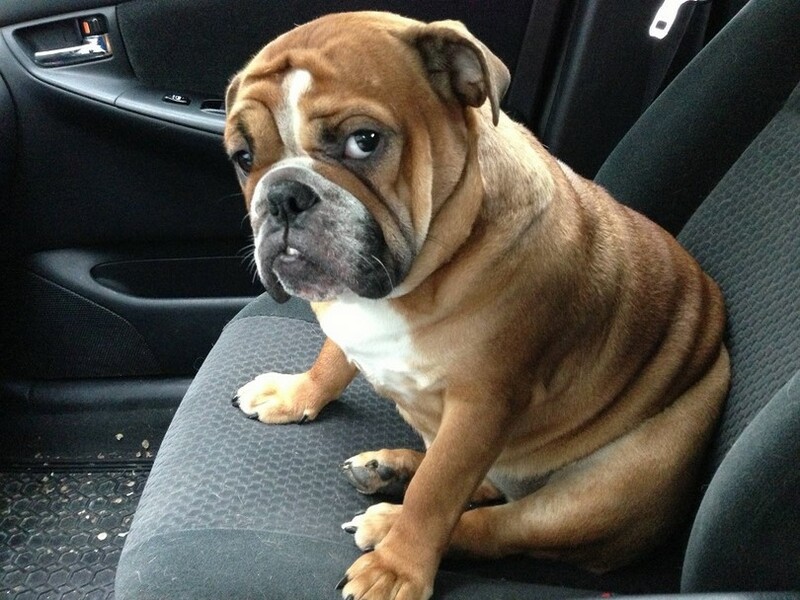 The veterinarian may identify an abnormal heart rhythm (i.e. premature ventricular contractions). Blood tests may show low potassium levels as well as blood glucose and phosphorus derangements. Rescue Inhaler Intoxication – How is treated? Intoxicated patients with elevated heart rates typically benefit from medication to counteract albuterol’s effect on the beta-2 adrenoreceptors. Examples of such drugs are propranolol and metoprolol. Lidocaine may also be helpful for those patients with premature ventricular contractions. Hyperactivity patients are often treated with a calming medication like diazepam. Periodic evaluations of blood potassium and glucose/sugar are recommended, and supplementation is provided when needed. Treatment is continued until clinical signs resolve. Most patients who receive proper care recover within 12 hours. Rescue inhalers contain unique medications that can be life-saving in various patients, particularly cats with asthma. 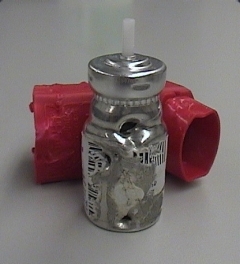 Occasionally, a precocious dog bites into the inhaler and is subsequently exposed to the contents all at once. In additional to dilating small airways in the lungs, the type of drug in rescue inhalers stimulates the heart in situations of overdosages Treatment is aimed at controlled a pet’s heart rate and reducing hyperactivity/anxiety. With timely veterinary care, the majority of pets make a complete recovery. To consult with experts in veterinary toxicology, please contact the ASPCA Animal Poison Control Center. To find a board-certified veterinary emergency and critical care specialist, please visit the American College of Veterinary Emergency & Critical Care.